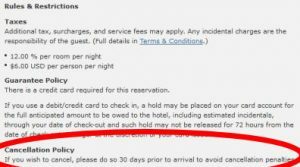 Here is a list of a few tips that I think will stand anyone in good stead when trying to do Hilton redemptions. 1) Do browse redemption options WITHOUT logging in. If you are logged into the Hilton website, it’ll only show you redemption options you can afford. If you are not logged in, it’ll show you all the redemption options. 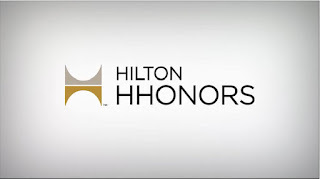 So if your Hilton Hhonors points balance is quite modest and you are researching redemption costs, you should do it without logging in. 2) Do think before you book a 4 night reward stay. Silver, Gold and Diamond members have a benefit that entitles them to get a 5th night free when they book 4 consecutive nights on rewards. So if you are thinking of a 4 night reward stay, you should consider changing you plans and staying an extra night. It won’t cost you anything for the room. 3) Do always check the cancellation deadline. One of the things I really like about booking with Hhonors points is that generally you can cancel up to the day before your stay (and often even on the day or your stay), and get your points back. But its important to not get lulled into thinking that is always the case. If there is a big event going on during your stay, the hotel might impose a more restrictive cutoff. Also some resorts hotels always have more restrictive cut-off times. For example the Conrad Maldives requires you to cancel no less than 30 days before your stay, otherwise you forfeit your points (see image). 4) If you have diamond status, don’t book an executive room. As well as being able to book standard rooms using your points, you can often also book higher category rooms, sometimes for a relatively small number of additional points. However, as a diamond, you are automatically entitled to the use of the executive lounge, so there is little benefit in booking an executive room. 5) Don’t rush to do online check-in. Although it might seem great to be able to check-in online and select your room, it might be better to wait. I recently had a stay at the new Hilton Garden Inn, Dublin. My booking was for a standard queen bedroom. 24hrs before my stay, online check-in offered me a king room on the ground floor. However the morning of my stay, I was offered a king room on the 5th floor with a riverview. Research had told me this was the best category room in the hotel, so I took this room. If the option had not changed, I’d have left check-in to when I arrived. 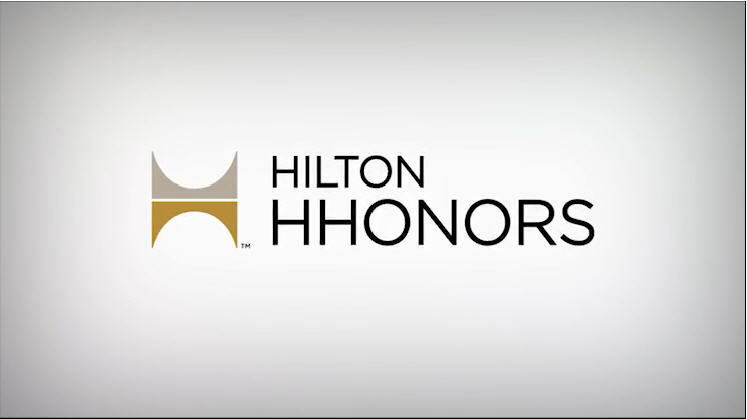 If you have any Hilton tips or hints, we'd love to hear about them in the comments below. POSSIBLY THE BEST HILTON REDEMPTION IN DUBLIN ? Don't be too surprised if you haven't heard of this hotel before. 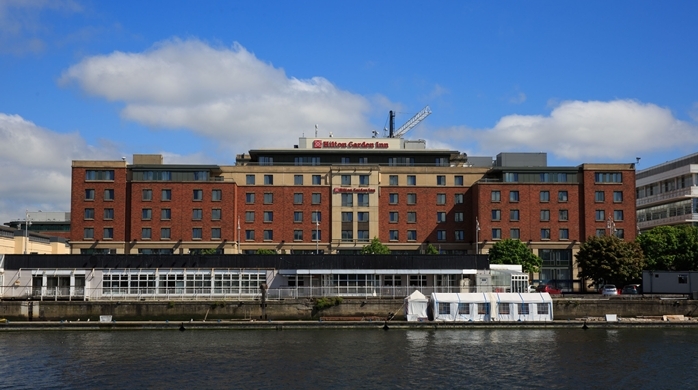 It's only been in the Hilton portfolio for a couple of weeks, having previously been a Jury's hotel. It was closed for many months, whilst a complete re-fit was undertaken. The re-fit clearly went well, as although initially only taking bookings from the 1st of July, they brought that forward a bit, with people staying since the 20th of June. That was only stage one of the refit, with the next stage being the installation of centralised air-conditioning (more on that later), and an extension to provide more rooms. 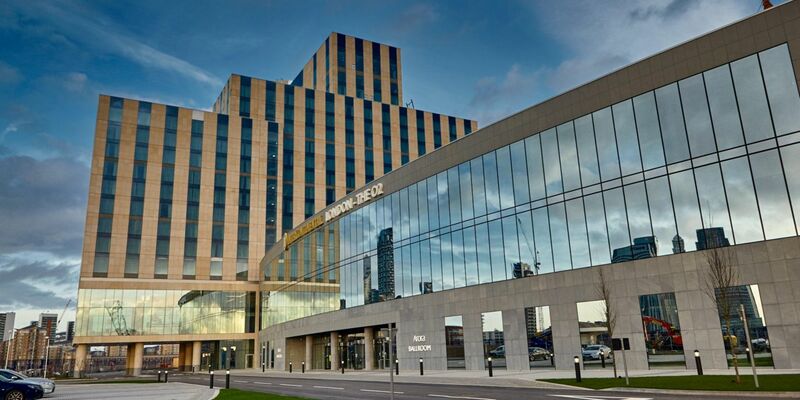 Intercontinental is the top end brand of the IHG group of hotels, that also includes the likes of Crowne Plaza, Holiday Inn, and Holiday Inn Express. For many years, there was a single Intercontinental hotel in London, their flagship Park Lane property that I've stayed in on several occasions. A couple of years ago, they opened a new property in the St James park area, however that clearly didn't suit them, because within 18 months it was no longer an IC, and in fact is now a Conrad Hilton hotel. In January 2014, over two years ago, I ran an article on how to get the absolute best value when taking out an American Express platinum card. At that time, I showed that it was possible to get 42K points when taking out a platinum card, instead of the headline 37K. I decided it was time to see if the method was still something to recommend. To my surprise, it turns out that today, you can actually get 45,000 points using this trick. I recently noticed that Virgin has a new partnership with Kaligo.com. In common with similar partnerships with other airlines, you can earn Virgin miles when you do hotel bookings with Kaligo. However, what came as a surprise to me, is that you can also make Kaligo bookings, and use Virgin miles to pay for them. Now the best use of any airline miles is generally to use them to book air travel, and Virgin is no different. But if you are points rich and cash poor, or you have no air travel in the foreseeable future, you might consider using them for a hotel night. Given that you can convert Virgin miles into Hilton (2 miles = 3 Hilton points), and also convert into IHG points (1 mile = 1 point), I decided to see if it was better not to convert your miles, but rather use them to book with Kaligo. The system is a big "clunky". There are three redemption categories, STANDARD, PREMIUM and LUXURY nights, costing 20K, 30K and 40K Virgin miles respectively. You phone the Virgin flying club hotline, tell them how many nights of which type you want, and they email you a series of voucher codes, one for each night, that you can use at http://www.kaligo.com/flyingclub-spend to book hotel nights. Having done some playing with the system, you should pay no heed to the names. They appear to map into rooms that cost around £100, upto £150 and upto £200 a night respectively. I didn't find any hotels that one could even loosely consider as luxury. I also found no hotels offered that would otherwise cost more that £200 or so a night. Hilton using points, 50K points. This is notionally a KALIGO WIN, as 30K miles would only convert into 45K Hilton points, and you need 50K Hilton points to book the night. However you need to remember that if you book using Hilton points, you can cancel at any time, whereas the Kaligo booking is non-refundable. I tested several other nights, I tested some IHG hotels, and some USA bookings. In all tests I concluded that I'd be better off converting the miles to IHG or HH and booking using the hotel chain, than using the Virgin Miles directly with Kaligo. I'm guessing there might be some exceptions that would work marginal in favour of the Kaligo booking, but my personal testing has left me concluding that it's not the optimum way of using Virgin miles to book hotels.